Getting to work with people that helped shape you as a musician is always a special treat. 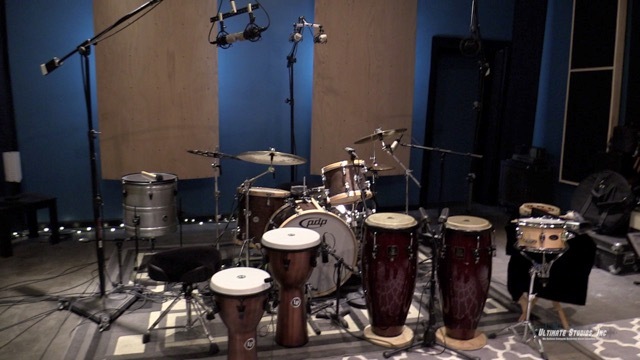 I had an absolute blast recording percussion with Ed Roscetti and Maria Martinez. Many moons ago I studied with both of them at Musicians Institute. Ed taught me how to play a true shuffle (we spent 3 weeks doing 1 single exercise until I could make it feel right!) and Maria helped me understand that latin grooves weren’t mere patterns to better your independence, they were words of a language. We spent an entire day recording percussion and shooting promo video for Ed and Maria’s World Beat Rhythms Workshops. These workshops are really cool and are totally interactive. 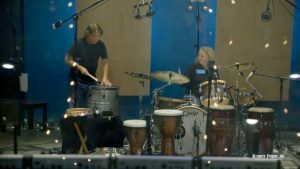 Ed and Maria perform using drumset along with a variety of hand drums and percussion instruments, moving from one instrument to another in the ensemble (exactly how they did it while we recorded). Instruments include drumset, djembe, doumbek, shaker, surdo, d-jun-d-jun, conga, batas, clay tones, mambo bell, shekere, klong yaw, tumbadora. But the cool part is how they get the ENTIRE audience involved. Everyone there gets a chance at hands on learning. It’s cool. For our day of recording I had the challenge of setting of a mic configuration that would allow Ed and Maria to go to any instrument at any time and still capture that sound well. Whether it was the drumset, djembe, shakers, congas, surdo or tambourine, they needed the freedom to create and I had to capture it. At the same time all the instruments had to be in frame since they were recording with only 1 camera. After a pre-production call with Ed about how they wanted to stage the instruments in the room I came up with a plan that would hopefully give them freedom to move where they wanted and not miss a note. It worked out really well so I decided to shoot a little behind the scenes video of the setup. Ed and Maria groove so well together it’s contagious. Give the video a watch and you’ll see. 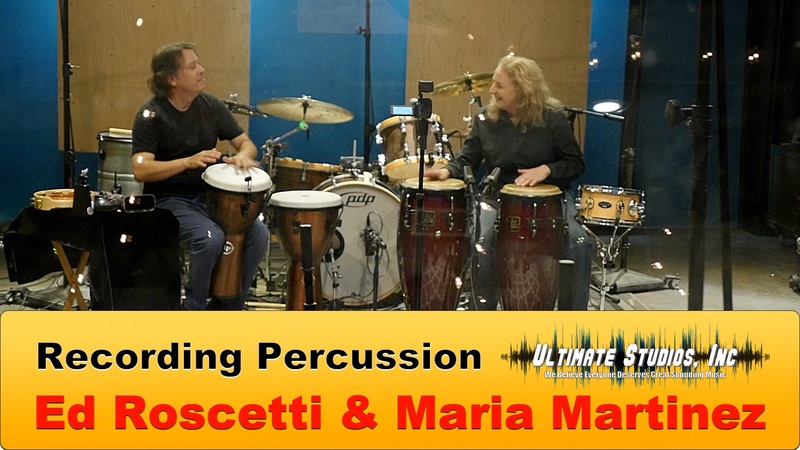 Learn more about Ed at Roscetti Music and Maria at Drum On With Maria Martinez. 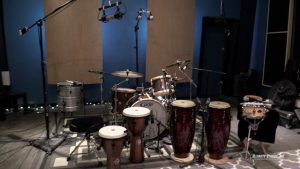 Learn more about drum recording at Ultimate Studios, Inc and be sure to check out the Ultimate Studios, Inc YouTube Channel. Oh, and don’t forget to subscribe! Watch behind the scenes footage from the session below. 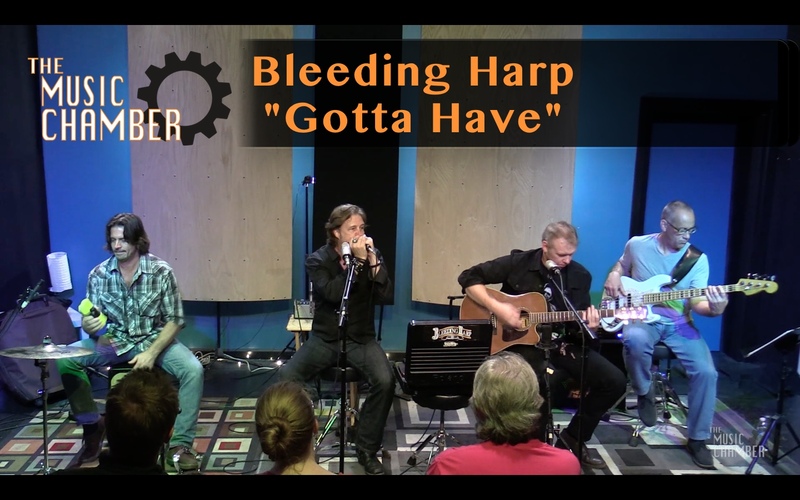 New In Studio Performance: Bleeding Harp! The Music Chamber has been a HUGE success! We’ve been fortunate to have some amazing musicians performing to a fantastic live audience in the studio as well as a huge online streaming audience. It’s been electric in the studio for these performances. At the last Music Chamber concert the audience was electrified by Bleeding Harp’s performance. They were simply on fire!! Now we have video out for everyone to enjoy! Live Streaming Master Class Performance! We’ve been live streaming some great education Master Classes this month! Guitar improv, drum recording, blues guitar & bass, and we have much more coming up. 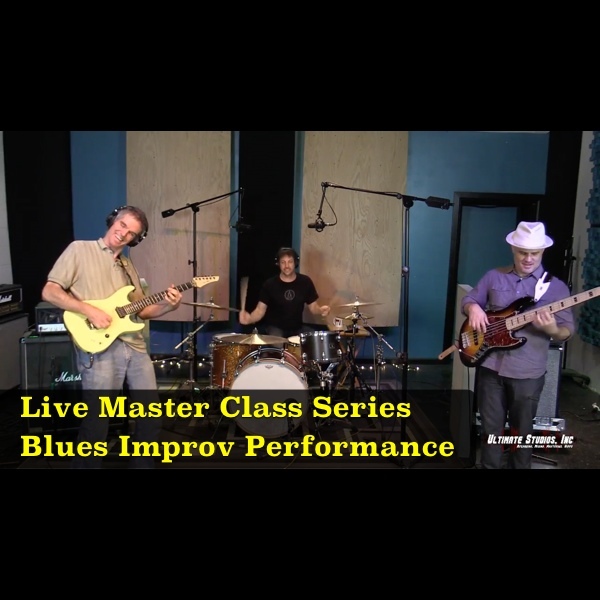 Here’s a little excerpt from our live Blues Improv Master Class with Ernesto Homeyer and Jesse Stern. There is much more to come and we’re broadcasting every Wednesday at 6pm and Saturday at 12pm for the month of May! Don’t miss an event, visit: www.ultimatestudiosinc.com/events/ to stay in the loop!! Recording live music is one of our favorite things to do at Ultimate Studios, Inc. We were recently joined by a fantastic local L.A. band Boroughs, for a live in studio concert. They performed 5 songs to a small audience of fans and we captured the entire performance on video. 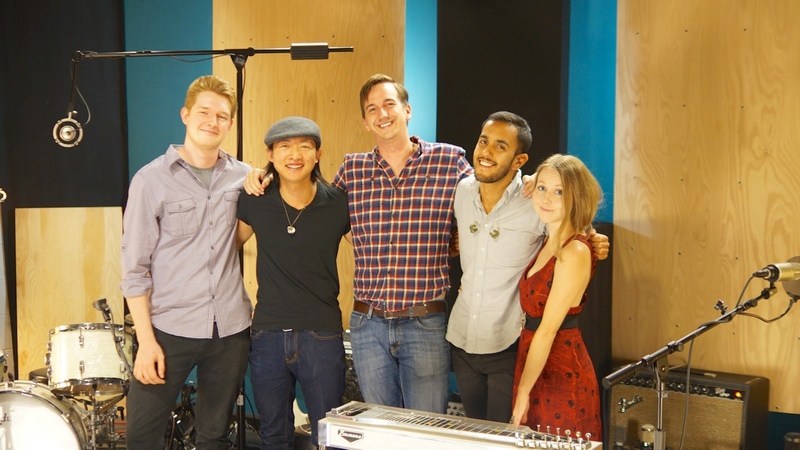 The band features Kyle Neal (vocals/guitar), Derrick Wong (bass), JD Carrera (guitar), Cole Peterson (drums), and Natalie Nicoles (background vocals). To learn more about the band and to find out when are where they are performing live visit www.boroughsmusic.com.